This week we had our first real snow in Seoul! Winter has arrived and with it, biting winds, snowflakes, and, unfortunately in my case, nasty head colds. Despite this unwelcome develoment, I can’t deny that I love the snow – a childhood in the mountains of Colorado will do that to you. In the city, though, snow doesn’t always last very long. It’s probably already slush as I’m writing this. When things get sloppy and slushy, it’s almost impossible to keep anything dry once you step outside. 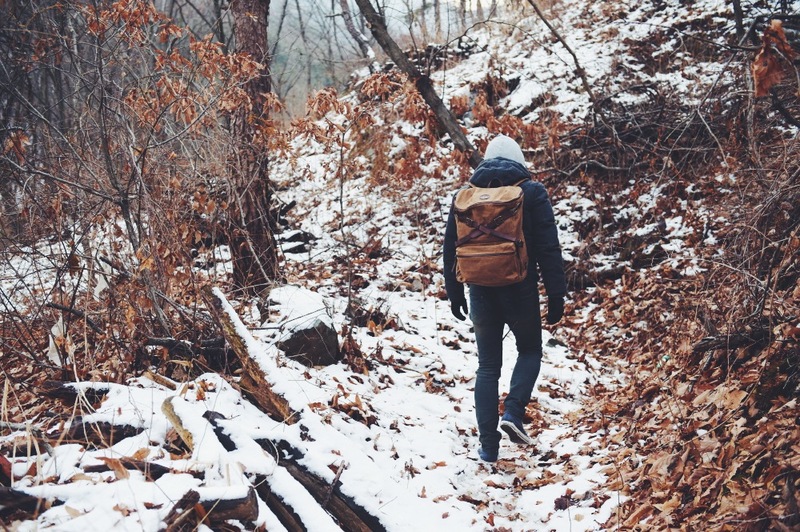 Shoes are one thing, but I do worry about my bags – not only do they get covered in snow, but set on snowy floors, set by sopping umbrellas, and much more. My cellphone is going nowhere near that graveyard for electronics! 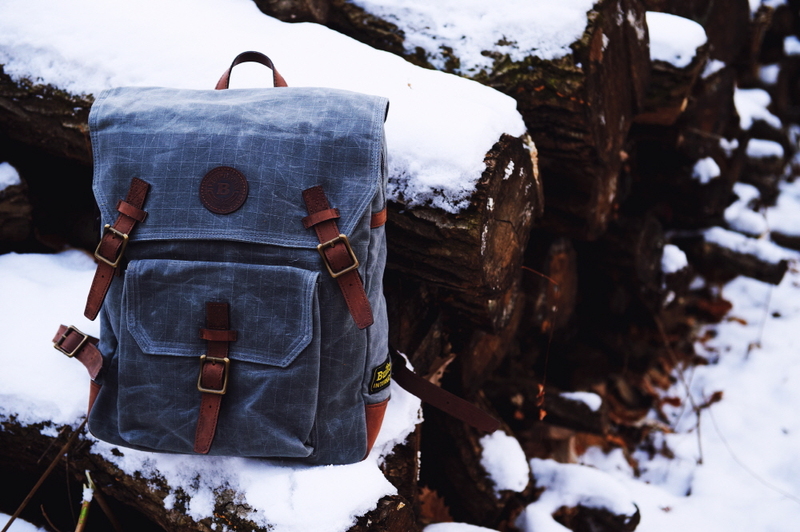 Though, the one bag I don’t have to worry about is my Builford backpack, because it’s waxed canvas. 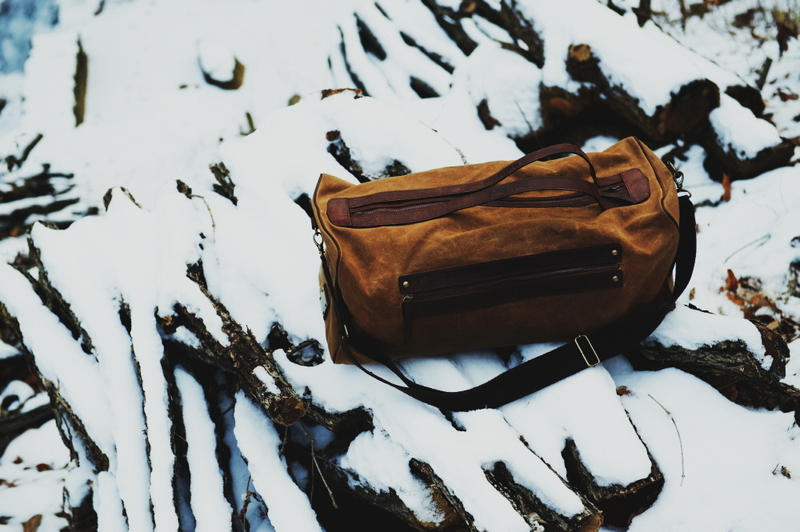 Waxed canvas bags are protected from the elements by the wax infused material from which they received their name. The wax efficiently repels water, keeping the contents of the bag dry. Builford’s trademark is waxed canvas bags. Some are backpacks like mine, but there’s also many other models to choose from, from handheld totes to cross-body messenger style bags to trekking bags. All are made of leather and waxed canvas, and a vintage touch of style. Have you ever heard of a fashion item you can take out in a snowstorm? Well, now you have. One of the many advantages of waxed canvas bags is that you can actually re-wax the material, which means the bags last a lot longer than you might expect. It’s true that with wear and natural evaporation, the wax in the material can be lost, but it’s surprisingly simple to repair – it takes a heater, the wax formula (Builford sells this all well), and a paintbrush. Wintertime in the city might be pretty sloppy, but I trust my Builford bag to do its thing and keep my stuff from getting wet inside. So far, it’s performed admirably. Waxed canvas is known for its durability, especially in outdoor packs, so I think it’s probably likely to win against the raging Seoul winter. If you aren’t holed up inside with hot tea and tissues – stupid head colds – enjoy the jaw-dropping beauty and peace of falling snow! And if you want to keep your cellphone working and your wallet dry, you might want to bring that Builford bag with. Builford in the snow, protected by the wax canvas! 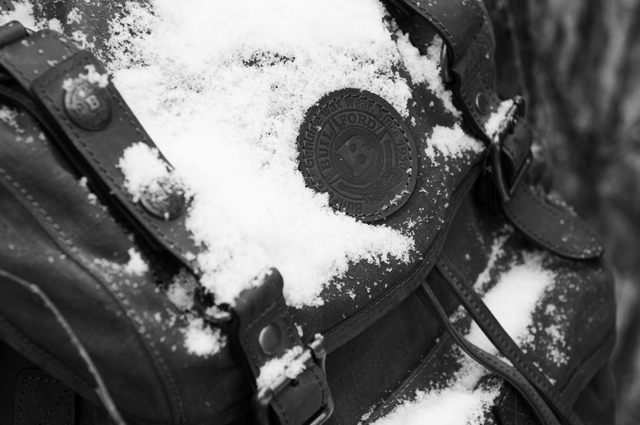 Share the post "Enjoying the snow with Builford bags"
Posted in Blog and tagged builford, builford bags, Builford waxed canvas bags, outdoor backpack, outdoor waxed canvas backpacks, waxed canvas bags, winter bags. Bookmark the permalink.